How can a mindset of gratitude help us through difficult experiences in parenthood? This is something that today’s guest, Tracy, has learned throughout her unique motherhood experience. 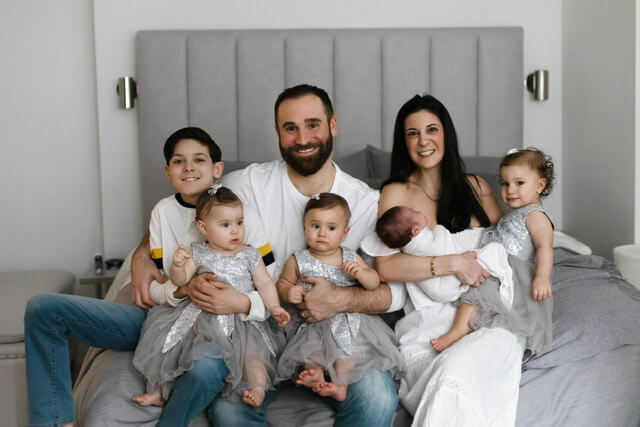 With having 4 babies under 12 months through IVF, surrogacy, and a surprise pregnancy, Tracy’s mindset and attitude has allowed her to stay present and grateful throughout this process. On today’s episode, Tracy walks us through her journey with IVF and surrogacy, and how she juggles motherhood, career and staying positive. Tracy, mom to @almosttripletsyc has five children. Hunter (age 12), Harlow (age 18 months), Twin girls Piper & Presley (age 14 months) and Dylan (age 5 months). Tracy has worked in finance for the last 21 years. She has climbed the corporate ranks and is considered a senior female mentor to many junior women. Tracy shares her fertility story to give other women hope that anything is possible.